Webshift website design. Contact details in Durbanville, Cape Town. We love hearing about new ideas, and we make a mean cup of coffee. You can fill out the client questionnaire and/or message us below. Or you could call. Or Skype. Or come say hello in person. Really, it's hard to miss us because we sleep under our desks. 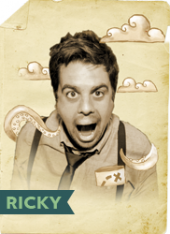 Ricky loves a good chat, gets really, really excited about new ideas and runs with the ball. He has many moons of marketing and online marketing experience, and loves people in all their intricacies and idiosyncrasies. He also has one hell of a singing voice. He is going to single-handedly sail a yacht around the world one day. Or around Madagascar. Robben Island, at least. Most likely to be heard saying: "I love it! Yes! Let’s make more and sell them!" 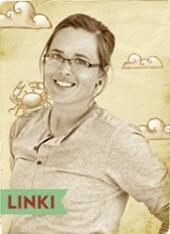 Linki is an advocate for unusual thinking and having the courage to act upon it. Although she has certain hermit-like tendencies, she always tries her best to woo the outside world with lines, shapes and colours. That's her native tongue and the language she knows best. Most likely to be heard saying: "Is that a baboon in my back yard!?" 18 Franshoek Street, Durbanville Hills, Western Cape, South Africa.